Dioptrice is the first step toward a richer history of the telescope through an inventory and description of surviving instruments created prior to 1775 held in museums and collections around the world. 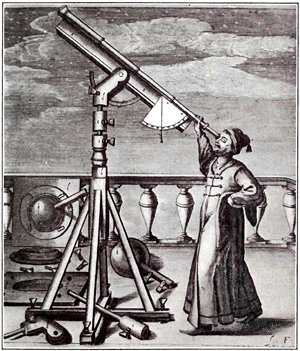 The database contains information on physical objects as well as depictions of refracting telescopes in early books, manuscripts, and works of art. Dioptrice is made possible by the generous support of the National Science Foundation, the National Endowment for the Humanities, the Program in the History and Philosophy of Science at the University of Notre Dame, and the Adler Planetarium & Astronomy Museum.